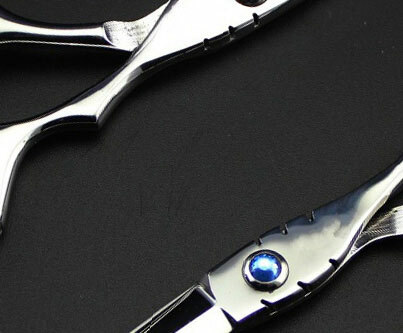 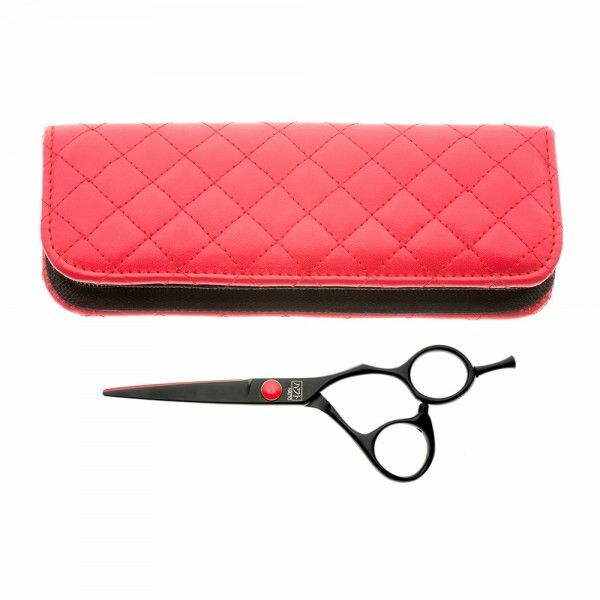 Professional barbering scissor handmade from hardened steel with a Black Teflon coated body, Red Teflon coated inner blade and red poly nut screw system with built-in ball-bearing. 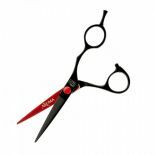 Convex cutting edge for professional cutting and slicing with hollow-ground blades for smooth, precise and sharp cutting. 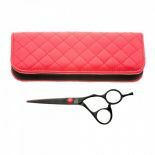 Supplied in red quilted scisor pouch.